Cimetrix prides itself in providing the best-in-class support in the industry. Passionately dedicated to our clients‘ success, our team strives to help our clients effectively develop, deploy, and support their factory automation and tool control solutions. 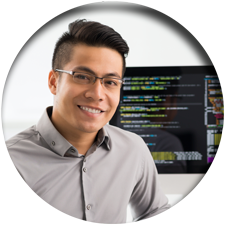 Our Client Training & Support (CT&S) department is comprised of skilled software engineers focused on successful deployment and production operation in the fab. Cimetrix has provided over 20 years of passionate support with our products installed in thousands of systems worldwide. You have been able to quickly and efficiently guide me to solve the problems that I had encountered. I appreciate the help and hope we can continue to do business in the future. The Cimetrix Standard Support and Maintenance Agreement is an affordable package of support services designed to help your software team remain efficient and focused on the development of your products when issues arise. In addition to unlimited support incidents for the supported products, the agreement includes product improvements that incorporate and leverage advancements in relevant operating systems, development tools, and applicable industry standards. Support contract revenue funds customer assistance, active involvement in the SEMI® standards committees, and continual product improvements and upgrades. This is a good example of a support person working to understand the customer’s need and propose an available solution rather than jumping to follow the customer’s request. Unlimited Phone and Email Support (normal business hours) Our experienced software engineers are available during normal business hours. See the list of ways to contact us. Secure Web Account Cimetrix.com contains a password protected support website, providing customers access to technical documentation, sample applications, and access to current and previous product installations. Free Product Upgrades All new versions of products released can be downloaded through your secure web account, including Patch Releases containing important defect corrections as well as Service Releases with valuable new features. One Business Day Response Incidents are assigned to a software engineer and responded to within one business day. Want additional details about the Cimetrix Standard Support and Maintenance Agreement? Request a copy of the Product Overview document. Need to renew your support contract or purchase a product? Please contact your Cimetrix sales representative. Cimetrix support engineers are available Monday through Friday from 9:00 a.m. (09:00) to 5:00 p.m. (17:00) Mountain Time (MT), excluding Cimetrix observed holidays. Clients are given a username and password to access the Cimetrix support website. The support website includes sample application, programming and diagnostics tips, and access to current and previous product installations. The website also includes a feature for uploading files so that you don’t have to include them in your email to the support team. Customer License Generator — Use this secure login site to obtain Cimetrix SDK or Runtime Licenses in the least amount of time. Log-in using your username and password, then enter your Certificate of Authenticity (COA) number, MAC ID, and email address. You will receive an email with your new license in a matter of minutes. Use the License Report to view the status of all of the licenses your company purchased over the last 12 months, including information about whether the license is unassigned.